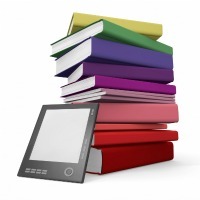 Our OverDrive eBook library offers books in the popular EPUB and Kindle formats. Please see the handouts below to get started. For additional help, please see the 'Get Help' box at left. See which devices are compatible with OverDrive eBooks.